BRATTLEBORO, Vt. — Selz-Pralle Aftershock 3918 is the new national milk production record holder for the Holstein breed. 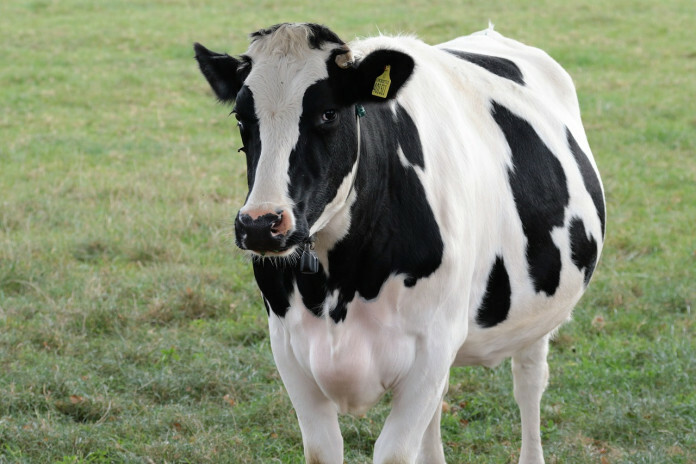 This Holstein cow has set a new 365-day milk production record of 78,170 pounds of milk, with 3,094 pounds of fat and 2,393 pounds of protein. This record breaks the previous 365-day record of 77,480 pounds of milk, set by Ever-Green-View My Gold-ET, owned by the Kestell family of Waldo, Wisconsin. “3918 is a testament to the outstanding production capabilities of the Holstein breed. Not only did she set the national record for milk production, she also tested 4 percent for butterfat,” states Daren Sheffield, production records specialist. Selz-Pralle Dairy in Humbird, Wisconsin, is the breeder and owner of 3918. A Very Good-88 daughter of MS Atlees Sht Aftershock-ET, she started her record-setting lactation at five years and eleven months. Currently, she has two daughters in the milking herd, three-year-old Selz-Pralle Topside 4550 VG-87, and two-year-old MS Joliam G W Atwood 4836 VG-83. 3918 is bred to Vieuxsaule Wilson-ET and will calve in December. Having produced over 44,000 pounds as a three-year-old and almost 58,800 pounds of milk as a four-year-old, she has been named a National Elite Performer by Holstein Association USA, Inc.
3918 averaged 15 pounds of combined fat and protein over her lactation. She peaked at 19.6 pounds CFP in July, milking 228 pounds of milk per day with 5.3 percent fat and 3.3 percent protein, testing on a seven-day average. Selz-Pralle Dairy is owned by Scott Pralle and his wife, Pam Selz-Pralle. They milk 360 registered Holstein cows with a rolling herd average of 30,917 pounds of milk, 1,219 pounds of fat and 969 pounds of protein.